What a difference a year makes. I don’t think I could even tell you what book I was working on this time last year. I think I was flitting about working on one of my half started books. But in the last year I’ve self published a book and written two more. I don’t know when it changed, but I started to get serious about writing. I’m not saying that I wasn’t serious about writing before hand; I’ve been droning on in this column for a couple of years, I have enough words in partially started books to create two or three full length novels, and I have plenty of rejection letters from agents. What has changed has been my approach to it. I guess if I’m really honest, I sort of hoped that agents or publishers would see something in my writing that would make them want to sign me. They’d take me under their wing and nurture my writing into fruition. I guess I was being lazy in my approach, hoping my words would speak for themselves. When I self published my book it changed me. It showed me that people wanted to read my stories. It made me believe that I might actually have what it takes to be an author. With this in my mind I started to raise my game. I’d well and truly learnt my lesson from having an ebook with poor editing. I got my new novel line edited and I gave it out to lots of test readers. Having worked on the edits now, I have a completely different manuscript in hand. Where I thought I had an almost finished novel, when I sent it for editing, I essentially had a first draft. The odd thing that changed when I self published was the fear of what I was writing. Gone were the thoughts of, will this be high concept enough for a publisher or agent? Instead I’m writing now to please myself, and what I think others will enjoy reading. I’ve also written myself a work schedule so that I’ve planned my writing for the next four books. 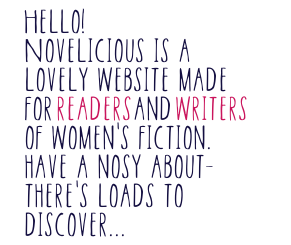 Once I submit my WIP for copy editing in the next week or two, I need to edit my ten day novel into a state to submit for a critique from the Romantic Novelists’ Association’s New Writers’ Scheme. Then, I’m writing a prequel of Millie and the American Wedding, and once that is being line edited I’ll write the sequel. It may sound like a conveyor belt of writing, but actually it’s great to have a plan. No longer am I hung up about waiting to sub my books for 6-8 weeks with different agents meaning that I have a WIP that I tout around for months or years. I feel that I’m in control of what I’m producing and when.